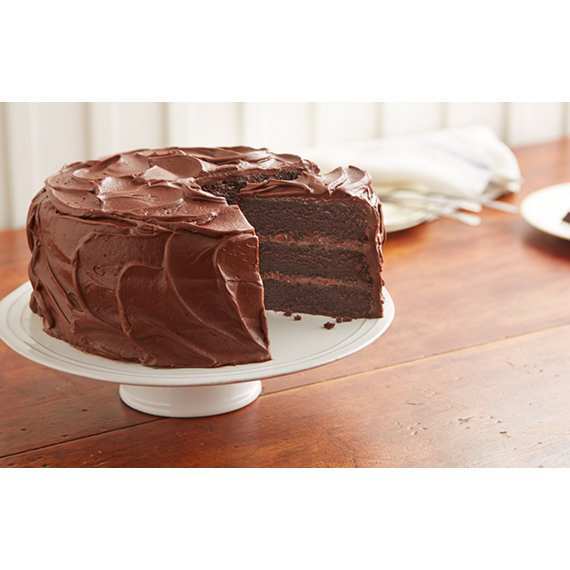 I swear by it, hands down, best chocolate cake recipe ever! If you size the recipe to 1.5, its the perfect amount for three 8" cakes. TIP: substitute the 1.5 cups of boiling water to 1.5 cups of hot coffee it brings out the chocolate flavor even more. 3. Bake 30 to 35 minutes or until wooden pick inserted in center comes out clean.